This basic cleanser, suited to sensitive and blemish-prone complexions, is an ideal alternative to harsh deodorant soaps that can be drying and damaging. It purifies thoroughly and leaves skin feeling fresh and comfortable, never tight or dry. It prepares the skin for shaving and softens the beard for a close, comfortable shave. The natural blend of citrus essential oils refreshes skin. 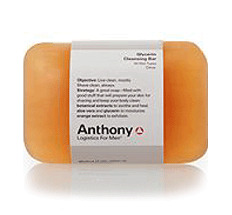 Orange extract, a natural alpha-hydroxy acid, promotes healthy smoothness thanks to natural antiseptic qualities.